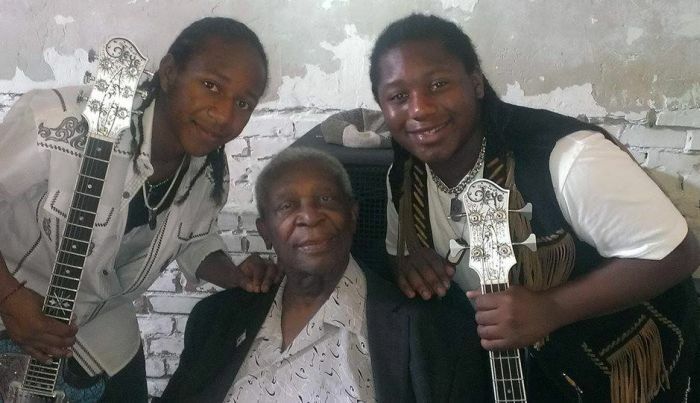 Five years ago the late Pinetop Perkins’ manager Pat Morgan gave Glenn and Alex Peterson their first opportunity to play onstage with the legendary bluesman. It became immediately apparent from that debut at Antone’s in Austin, Texas that these two very talented young musicians showed great promise for the future. Five years on they have lived up to those expectations and The Peterson Brothers Band has appeared in front of thousands of enthusiastic fans at numerous clubs and Blues festivals across the country, including the prestigious Chicago Blues Festival and The King Biscuit Festival in Helena AR. They have also opened shows for such major artists as B.B.King, Los Lonely Boys, Lisa Marie Presley, Michael Burks, Pinetop Perkins & Willie “Big Eyes” Smith, Marcia Ball, and The Fabulous Thunderbirds. Buddy Guy invited them to share the stage with him during one of his shows at ACL Live in Austin. The two brothers have surprisingly deep musical influences and reference points for such young musicians which have in great part, helped form their styles of playing and performance as they continue to develop and grow. Glenn, 17 years old, plays guitar and is the lead vocalist and delivers the blues with a heavy influence of funk in his rhythm guitar playing and a smooth, jazz influenced technique combined with a traditional blues approach to his leads. He reaches back for inspiration that runs from more contemporary players like Robert Cray, Carlos Santana, Michael Burks, Stevie Ray and Jimmy Vaughan to jazz icons like Wes Montgomery and Kenny Burrell to Blues greats like BB King, Albert King and Freddy King, Buddy Guy, Albert Collins, Hubert Sumlin, T-Bone Walker and Lightnin Hopkins. Alex, 14 years old, plays bass guitar, violin and also sings. He brings the anchor and the feel to the group, often with a funk and jazz style. Like his brother, he is a wealth of knowledge about his instrument and the musicians he studies and who have influenced him. They include Victor Wooten, Marcus Miller, Jaco Pastorius, Larry Graham, Bootsy Collins, Ron Carter, Donald “Duck” Dunn”, Bob Stroger, and James Jamerson. The Peterson Brothers have solidified their place on the Austin music scene and are becoming recognized across the country as true prodigies with a deep Blues sensibility that belies their years. Fans eagerly await their forthcoming album.